This is when a therapist can assess then treat a variety of conditions caused by sport, lifestyle stress, general injuries or illnesses. As well as reaching the root of the issue, soft tissue therapy is also about preventative and restorative treatment. This can involve exercise and lifestyle factors changing over time. It means looking at the full picture, so that any soft tissue chronic or minor problems can be dealt with and preventative advice can be given and used so that issues aren’t continual. This can also in turn help psychologically as well as physically for the client. As long as I can remember I’ve had an interest in health, exercise and nutrition. This became a full-time part of my life in 2008 when I qualified as a Personal Trainer and Sports Massage Therapist. I specialised in Pre and Post Natal exercise and loved helping people achieve their varied goals. I worked in a private health club for a while, undertaking Personal Training and doing Sports Massage until I had twins in 2010. I then took on Buggyfit in Henley to keep doing what I loved whilst my children were small. My interest in health and wellbeing continued whilst taking a break then to concentrate on family life. 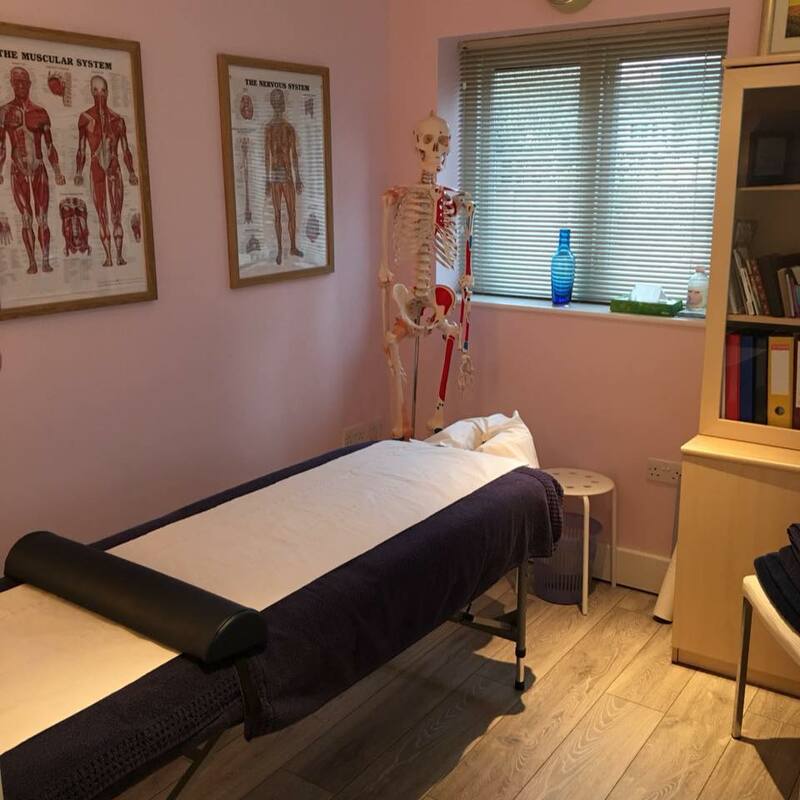 I decided to retrain in 2016 for my return to work, which I had really missed, to study for a further qualification in massage, the Level 5 BTEC in Soft Tissue Therapy. This was a very thorough course and I am able to provide a high level of sports and remedial massage to my clients. I feel very lucky to be able to help people whilst doing the job that I love. I have a varied client base of recreational to competitive athletes and clients who have developed poor posture through work or lifestyle related issues, to which I can offer restorative and preventative techniques and advice. You will need to come appropriately dressed for your treatment. You will need shorts for men and shorts/bra for ladies to have a full postural assessment. Hair if long tied back preferably to prevent it coming in contact with the oil or wax. Please ensure you arrive on time so that you don’t feel rushed and can gain full benefit from your treatment. There is parking on the driveway, please make full use of this as to not block the road. Please do drink plenty of water to flush out the toxins which will have been released from the tissue during your massage. You can experience soreness during the first 48 hours after a deep massage, however this should improve and if you are concerned feel free to contact me with any questions. It’s a good time to rest if you can, following the massage to aid a speedy recovery and repair in the areas needed. This will give you the best result. If you are unable to make your appointment I will do my best to reschedule your treatment. If you do need to cancel your appointment, please give 24 hours’ notice or full payment will be required.